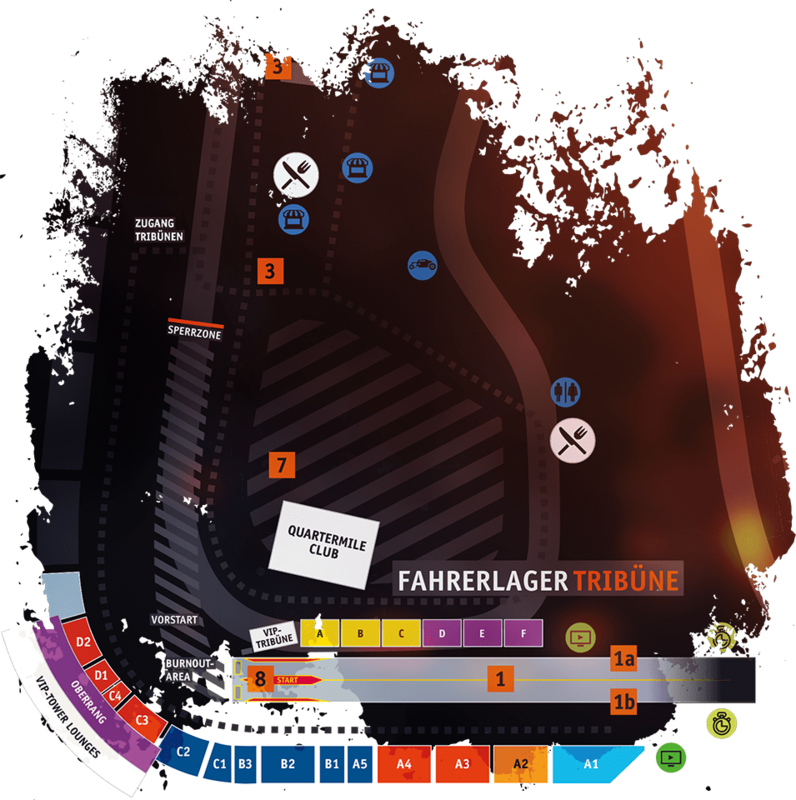 This layout is intended to help you find your way around the Hockenheimring site. As well as the action on the strip, the NitrOlympX offers an extensive selection of traders – with fan shops, food stands, streetwear and much more. Even the paddock and Motor-Sport-Museum are open during the racing weekend, and await your visit. Just one last thing: Drag racing is a very loud sport. Please make sure you bring suitable ear protection with you: From ear plugs and full protection, you’ll find everything in our “Nitro Shop”. You can download the complete map below.